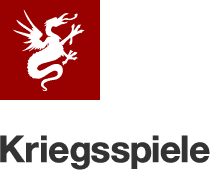 Kriegsspiele (German for wargames) talks about tabletop wargaming: Warmachine and Hordes in particular. Wargaming since 1812. Pacifistic since 1913. WARNING: STOP READING right now if you do not believe that the average D6 roll result is 3.5! Battle Report by Paul Clark is a nifty iOS app to easily capture and create video battle reports. I had lots of fun with my core casters of 2012: I achieved lots of victories – and visited Waterloo equally often. Still, it’s time for a general change to beef things up! Today I was able to take the photo above and I’m ready to finish my Conquest finally! – Still, Privateer Press should rethink some of its processes. I really enjoyed the Benelux Masters 2012: It was a great tournament and weekend in general! I had lots of very interesting games with very nice people before and during the tournament.